Hey, y’all! Hope everyone is enjoying the fall weather, it’s such a beautiful time of year to watch the leaves change color, prepare for the holidays, and watch some football. I wanted to get this article out there to see if any of you had some feedback on this. We have been wanting to try CBD oils with some of our horses and dogs for various ailments. We have enough old timers on the property that we think they could all benefit from some anti-inflammatory agents. I’ve been reading some amazing things about people and CBD oils, dogs and CBD oils, but I haven’t found anything of real value about CBD and horses. 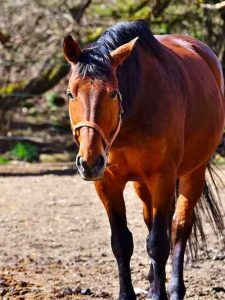 My initial thought is that it would be too expensive to use CBD oils as an anti-inflammatory for a horse, but I am curious if anyone has tried it and if they have noticed any obvious improvements in the horse. One of our older stallions just doesn’t move around the property as he used too, and we think there may be some arthritis in his joints. 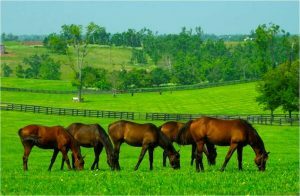 From what I have read online, CBD oils have been useful for humans suffering from arthritis, but I have seen very little regarding horses. I ordered some CBD oils from this website (https://medicinalessentials.com/collections/pet-products) and found the product provided me with a nice sense of relaxation and really seemed to help with some of the joint pain I suffer from. I can only imagine that my horse would need to take $100 dollars or more of CBD oils daily to find the relief I found. I would like to research this further and talk with anyone that has had experience administering CBD oils to their horse. There are so many health benefits for me that I will continue taking it, and I purchased the dog chews for our older shepherd. She used to follow me out every morning to the barn to feed and water the horses, walked with me around the property to tend to plants and the garden, and was always active with chasing wildlife around the farm. As all dog owners have witnessed, she began to slow in her old age and began to have hip problems. Some say that is common with shepherds, but I didn’t want to rush to that conclusion. After I started dosing her regularly with CBD oil, I noticed a change in her willingness to join me on some of the excursions around the property. While she can longer be troubled to chase birds and rabbit, she has made the walk with me to the garden more frequently and has shown an overall improvement in health and happiness. If I could get that same result for my horse at an affordable rate, I would highly consider giving my horse CBD oils.